Manley Wilson Cranford was born 11 Jun 1821 in Randolph Co, NC, to who we believe to be James Cranford and Sarah Redwine. 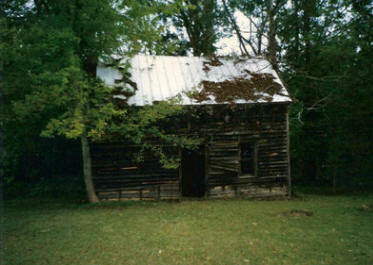 He was a religious boy, becoming a local Preacher in the Mountain Creek area. Wilson met and married Mary Martha Lomax from Montgomery Co, NC, USA. She was born 29 Jan 1829. (Right) Rev. 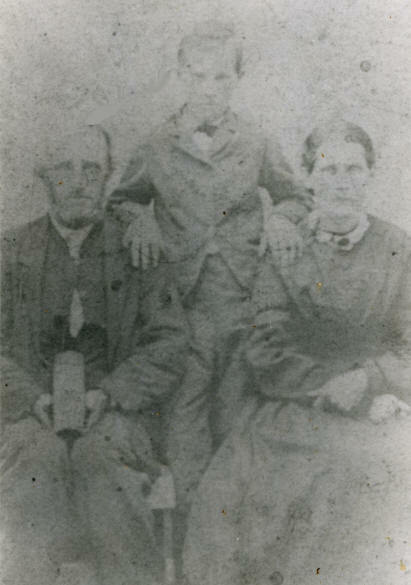 Manley Wilson Cranford with Martha and son, Manley Wilson Cranford, Jr.
Wilson and Martha had five children. Daughter, Lou Ellen Cranford, died in infancy. The 1879 Catawba County Census shows Wilson and Martha Cranford living in the Mountain Creek Township of Catawba County with their four children: Laura (age 15), Mary (age 13), Nancy (age 11) and Manly Wilson Jr. (age 9). Manley Wilson Cranford Sr. was 47 years old and Martha was 40. The Real Estate Value of his farm was $500 and his Person Estate was valued at $200. According to the 1870 Agricultural Census, Wilson's farm was 140 acres, with 50 of that being used for crops, pastures, etc. The value of his farm was $500. 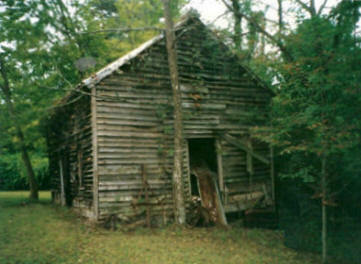 Even though Wilson was a local Preacher, he and his family still maintained the farm. Manley Wilson Cranford, Sr. died 23 Jun 1889. Will Book - Mountain Cree, N. C.
I want all of my debts paid and I want a nice set of Tombstones for myself and a set for Anner (Nancy Anna Cranford Shelton), and I want my wife to have the home her lifetime, and I want Manley to settle up the Estate. The foregoing attached paper writing purporting to be the Last Will and Testament of Wilson Cranford, written and expressed by him, while on his death bed and in his own house is proven by the oath and examination of A. R. Helderman and F. R. Howard who make oath and say and each for himself says that he was at the residence of the said Wilson Cranford while he was in his last sickness. And that he in the presence of each of us, expressed exactly in substance and as nearly in words as we can call to mind, the same as the foregoing said paper writing. Then at the time of so expressing and uttering his will and wish, he was of sound mind and memory, and of full age to make a will and was under no restraint to the knowledge improvision and belief. And further these desponents say not. P. H. Hu?? C. S. C.
P. H. Huyle C. S. C.
I, M. W. Cranford do solemnly swear (or affirm) that I believe this writing to be and contain the last Will and Testament of Wilson Cranford deceased; and that I will well and truly execute the same by first paying his debts and then his legacies as far as the said estate shall extend, or the law will charge me; and that I will well and faithfully execute the office of and executor agreeable to the trust and confidence repose in me, and according to law, so help me God. 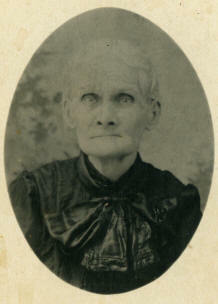 Martha died 23 Dec 1910 in Catawba County, NC. Manley Wilson Cranford and Mary Martha Lomax Cranford are buried at Mt. Pleasant Methodist Church in Sherrills Ford, North Carolina. A special thanks to Peggy Loftin Brotherton for various photos of the Cranford Family. Thanks to Barry Brotherton for the photos of the Cranford homeplace. Thanks to Boyd & Becky Goble for the photo of Manley Wilson Jr.